I haven’t forgotten about this quilt – in fact I am trying to finish it so I can put in on my bed! Here is Block 10. The picture doesn’t do justice to the colors – they are more vibrant in person. When paired with the other blocks, the color palette is gorgeous! Overall, this one was pretty straight forward, except for the FOUR set-in seams at the end. I always wondered why quilters thought set-in seams were so difficult, after making this block, I understand why! If I were hand piecing this, the set in seams wouldn’t be such a challenge, since you have so much control over what and where you are sewing. Next up – the large center medallion (it is 30 inches square). 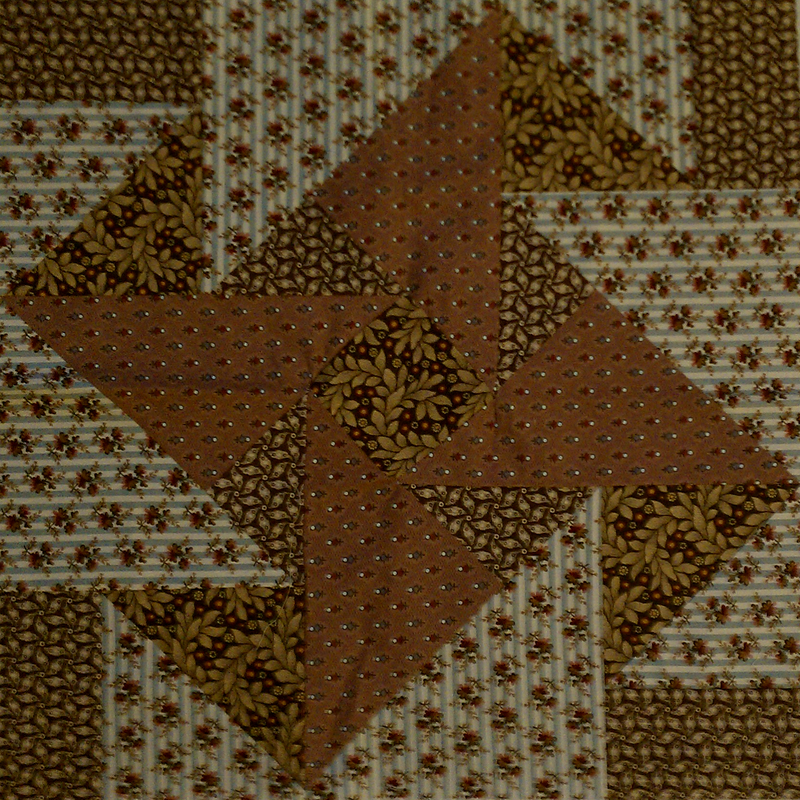 After taking a look at the directions, it seems like the center medallion should be pretty easy – as far as I can tell there are not set-in seams!! This is very nice. You are really getting a lot done. Thanks Mom! I should have this completed by end of March I think. Then just send it off to be quilted! I am currently working on Month 10 of the Civil War Tribute BOM. I cannot get these set in seams right. Do you have any advice or maybe a step by step tutorial how you did it? Any help would be greatly appreciated. Thanks for the advice. I will look for that video. I think I am going to start on Month 11 and take a break from this block for a little while.